Are you looking for the courses you can study at UNISA in 2018? 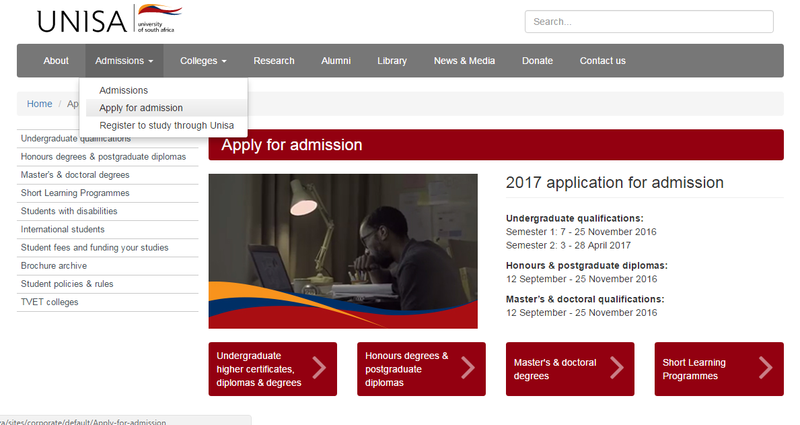 This UNISA courses 2018 page will give you a step by step guide. 3. You can now select which type of course on the next page. If you are a new student you will probably choose the undergraduate option. Click on your choice and it will take you to a page that looks like the screen shot below. You can now choose Start the Process. 5. Keep selecting the option that most suites you personally. For this example we have selected yes – but do explore as much as you need to as the pages here are so useful. 6.finally you will get a page where you can choose the exact qualification that you want to study. There are many options you can choose from to make your selection, such as college, qualification or even field of interest. Each of these options help you to explore what UNISA offers and helps you find out for yourself what you want to study. 7. After you have finished exploreing and have finalised what you want to study you can apply for admission. Remember you can only give two qualifications when you apply. 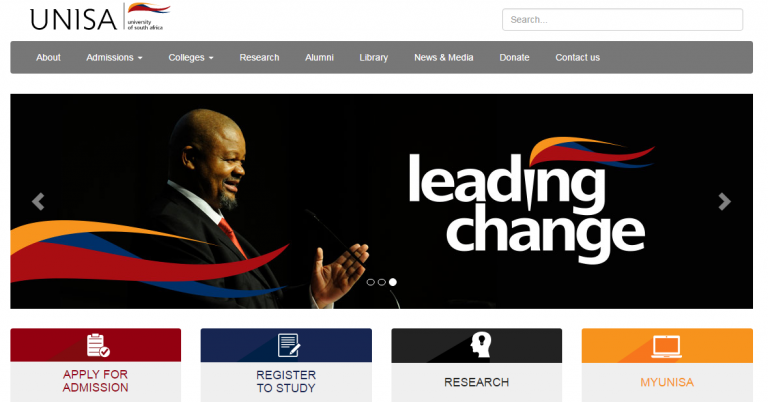 If you need further help about how to apply at UNISA please click here: UNISA application.